Probably the most popular game in poker is Texas Holdem . It's the main game to start with but there are others such as Amaha and 7 Card Stud but to stop confusion let's start with the basic rules. For every thing you need to know about playing Texas Holdem click here. There are other games to get to grips with once you've mastered the game of poker although they are all based on the Texas Holdem rules. 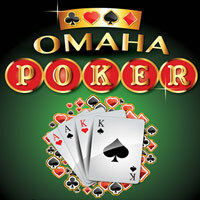 Limit Omaha Poker - Where by a limit is given for every game and for every round of betting. Pot Limit Omaha Poker - A player can bet what is in the pot. No Limit Omaha Poker A player can bet any amount, up to all of their chips. Omaha poker is mainly played with high hands in Europe, but the high-low split version is becoming more and more popular more in the U.S. The omaha poker game is based on the game of texas holdem but it's wise to adjust yourself to the slightly different rules. To start with, the game of Omaha Holdem has a maximum of 10 players at a time. Players are dealt four pocket cards of which they can keep two and make up the rest of their hand with the community cards. The betting begins when the pocket cards are dealt on the table (face down). Each player can the see their own hand and decide on their bet. The dealer will then deal out the first three cards (face down)and the last fourth card face up ( this card is called the turn). The final and fifth card to be dealt face up ( called the river) will be the deciding card. The player with the best five card hand is the winner of the game. HORSE mixes a number of poker games and stands for: H - Holdem, O - Omaha, R - Razz, S - Seven Card Hi Stud and E - Eights or Better Stud. Play alternates between the 5 different types of online poker game and is the latest way for the professional poker players to show their true skills playing various poker games together. Razz is a seven-card stud game.Unlike in traditional poker, in Razz,the worst five card hand takes the pot.Any hand with a pair will almost never win. Basically, if you haven't got the idea this games is one on it's own. Once you've decided to play be sure that you know the rules is some good advice for this poker game. When you play this game the high hand winner must split the pot with the player with the best low hand. The high hand will always win in this game but not necessarily the low hand. For a hand to qualify for low, it must have five cards no higher than an eight. Any five of your seven cards may be played for high and any five can be played for low. Ace cards can be played either high or low.